This is a great cigar. I don't know if people are trying to keep it a secret or what but when I lit this up I was like "This is a Great Smoke"!! Basically it is a longer version of a Monte No.4 with lots of cedar, creamy nuances with a little spice and leather. 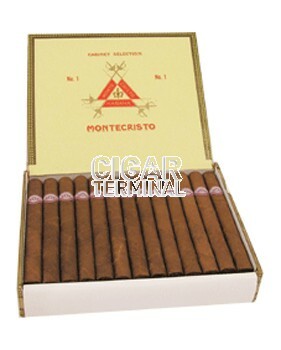 I will say this though, as with almost any Montecristo, the longer they sit THE BETTER! So they may not be that great for the first year after the box code date, but just smoke one, see how it is, then if they're not "good to go" then just put them in your humidor and forget about them for a year or 2, or 3! Enjoy!